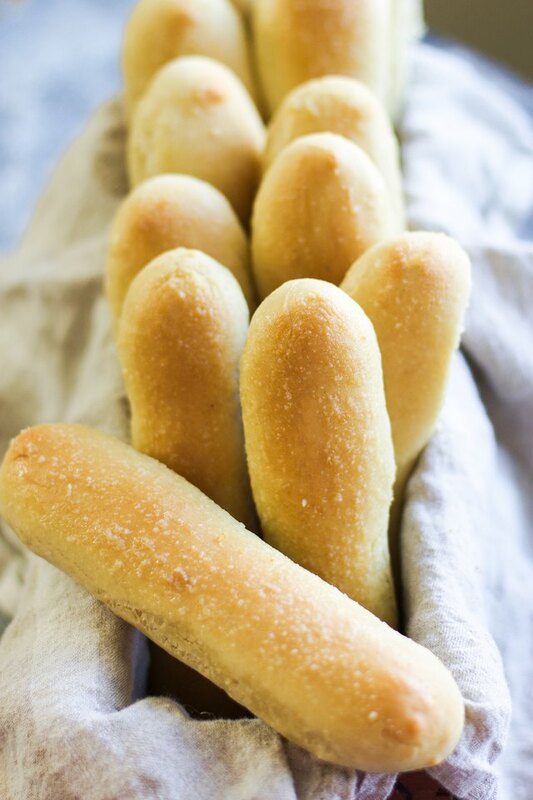 I have memories of going to Olive Garden growing up and being just as excited about their unlimited breadsticks then as I am now. 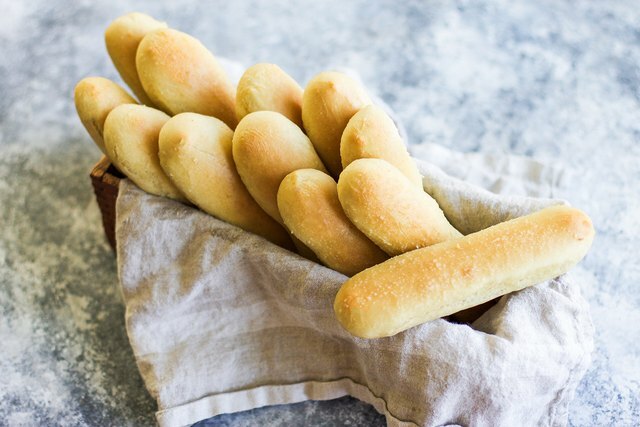 With a few simple steps and ingredients you can have warm breadsticks --just like Olive Garden's -- hot out of the oven and on your table for dinner any day of the week! The dough for these breadsticks is very easy to work with and is a great recipe for beginner bread makers as well as those who are more experienced with homemade breads. 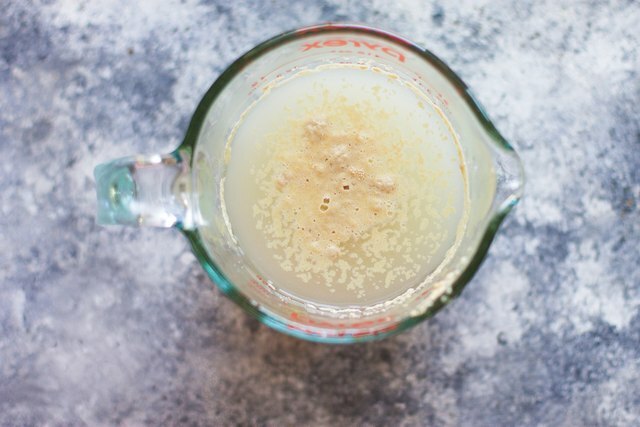 Activate yeast by combing honey to the warm water and then sprinkling the yeast on top. Let sit for five minutes until bubbly and foamy. After the yeast has activated, add 2 tablespoons of melted butter to the wet ingredients. 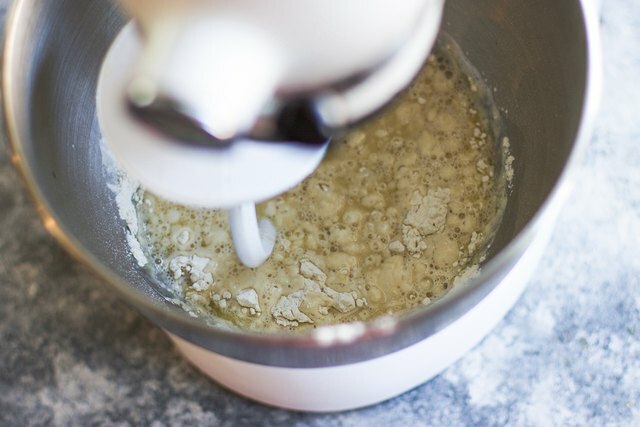 Add the yeast mixture to a stand mixer. 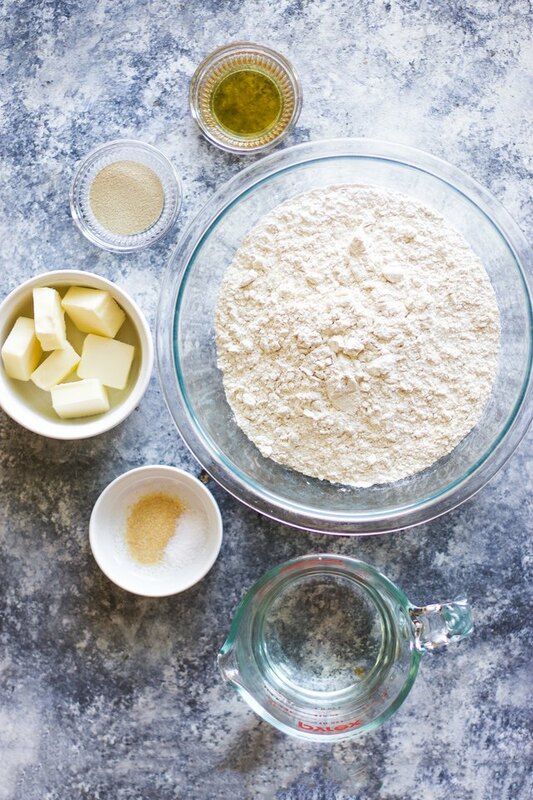 Add 1 teaspoon of salt to the flour and then slowly add in the dry ingredients with the stand mixer on setting 1. Continue to do this until all of the dry ingredients have been incorporated. Continue kneading the dough with the bread attachment on the stand mixer for five minutes until a soft dough has formed. 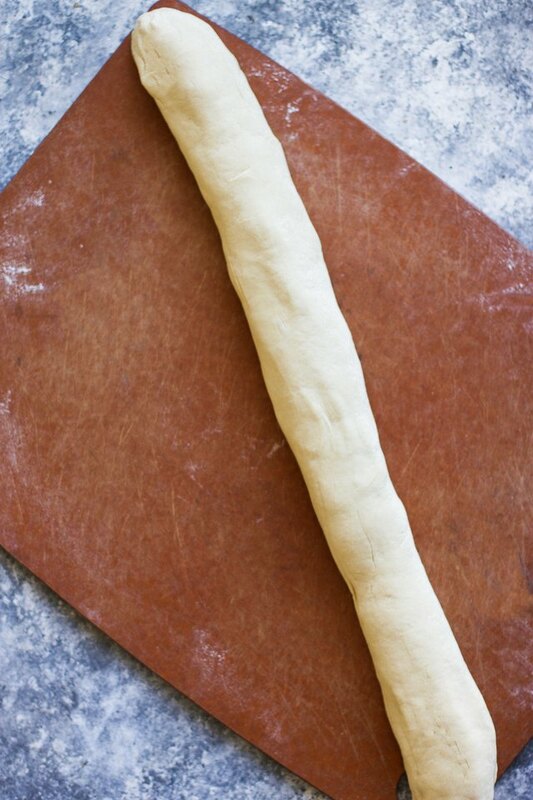 Turn dough out onto a lightly floured surface and knead by hand for five minutes until dough is pliable and smooth. Roll into a log about two feet long. 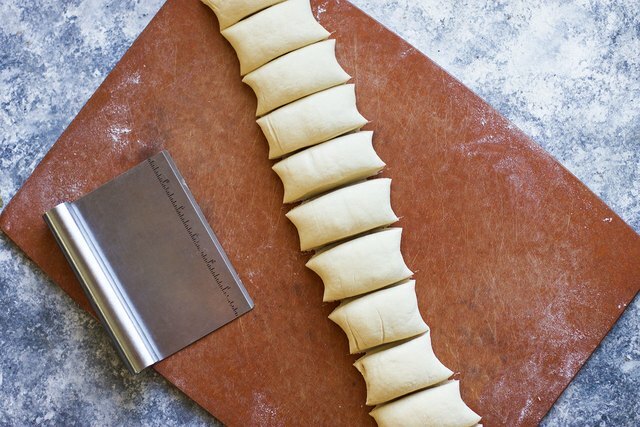 Cut the dough into twelve uniform pieces, about two inches wide, and then roll into individual breadsticks about 6 inches long and place onto a parchment lined baking sheet. Cover with a dish towel and sit in a warm spot for 34 to 45 minutes until rolls have doubled in size. If you need a warm spot, preheat your oven to it's lowest setting and then turn off right before placing rolls inside. 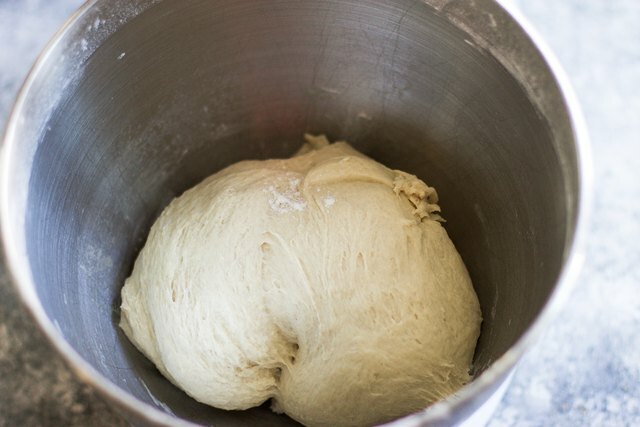 The oven will stay warm long enough to let your dough rise. Take the other four tablespoons of melted butter and add the remaining salt and garlic powder and mix well. 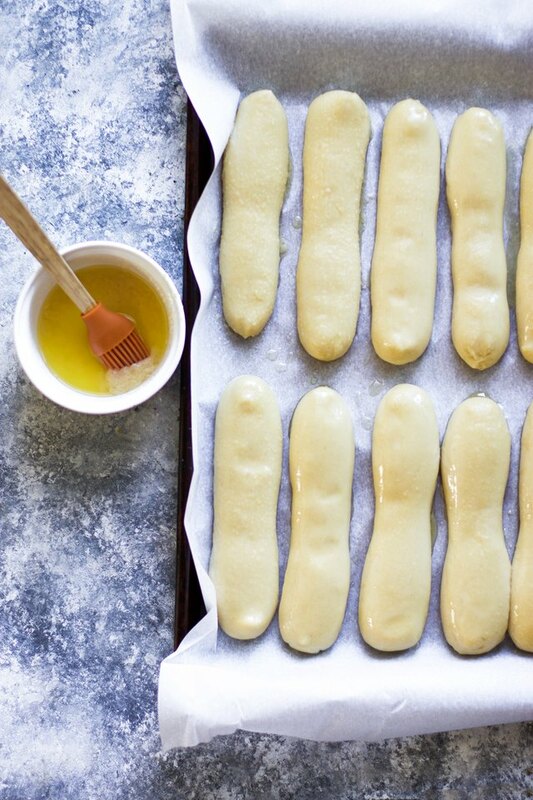 Brush a light coating over the breadsticks and then bake for 13 to 15 minutes until golden. Brush with the remaining garlic butter when they come out of the oven and serve immediately. 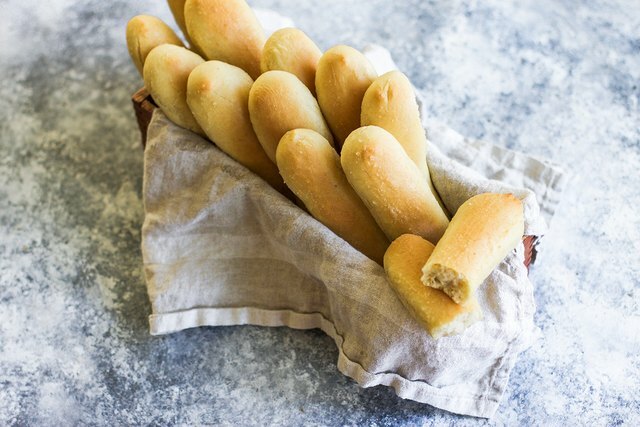 The smell of these breadsticks baking in your kitchen is reason enough to try out this recipe, but the process is really simple. You gotta try this soon!